Massage Therapy and the healing powers of human touch date back to prehistoric times. Over time as humans evolved touch became more structured to eventually become a healing art therapy. Ancient massage therapy can be traced back to almost every culture on earth, starting as a social interaction and evolving eventually into a therapeutic tool. After some time, people in both Eastern and Western cultures began to see the benefits of massage other than just the enjoyment. 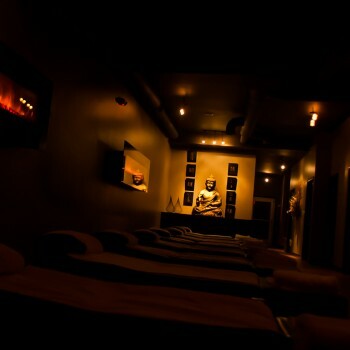 Some of these benefits include healing ailments, cure of some illnesses, deep relaxation and relief of stress. The major influences of massage therapy can be seen in thousands of different cultures around the world. Many of the different cultures have very different techniques but the goal remains the same – healing through the art of touch. In the Thai culture much of the emphases of the massage is based on stretching, a way to help loosen muscles and improve flexibility at the same time. In Chinese reflexology massage, the focus is on pressure points that correspond to different parts of the body. Swedish massage, which was developed by Henri Peter Ling at the University of Stockholm in Sweden in 1812, is the manipulation of both superficial and deep muscles and other connective tissues by using a medium to light pressure and a combination of long strokes, kneading motions, and friction to help increase blood flow as well as many other benefits. Although there are many different types of massage, they originated from very different places all over the globe. The main focus however remains the same, to heal and help the body through touch in a holistic way. Many of the ancient forms of massage technique still exist in modern day and are still used to help heal the body, and now more than ever massage therapy is respected and viewed as one of the best holistic forms of healing and is probably one of the most enjoyable ways to help your body stay in tip-top-shape. No matter what the history of massage is, one thing is for sure, almost everyone loves to get it. It feels great, is good for you, and allows you to temporarily escape into a state of relaxation. Whether it’s to relieve stress or feel energized, massage therapy has been around for thousands of years and will continue to be around for thousands more. Can Head Massage Improve Eye Sight? History Of Massage May Have The Answer. What’s The Difference Between Eastern & Western Style Massages?